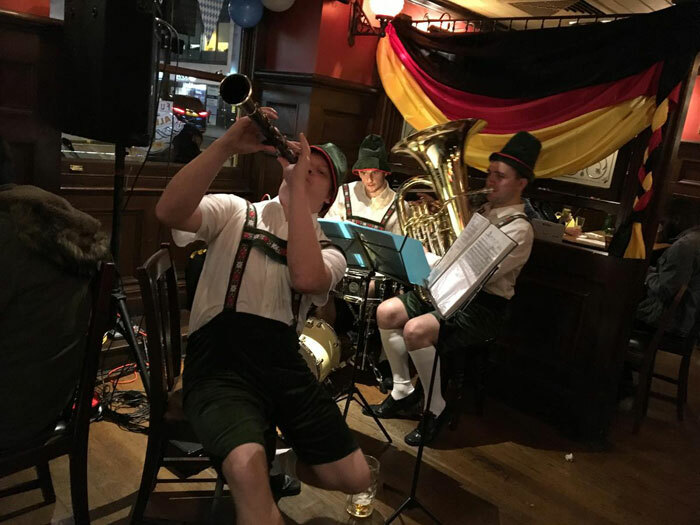 This experienced London Oompah band is available in 3 size options and can be booked as a 3 piece, 5 piece or 6 piece band with a frontman and drinking games. 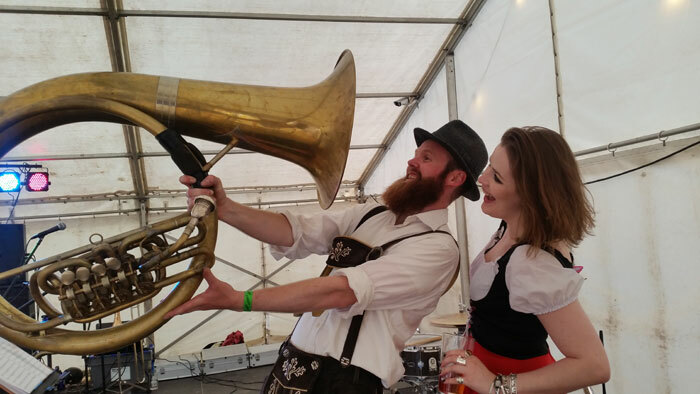 Looking for an Oompah band in London for your Oktoberfest themed party or event? The London Oompah band is available in 3 size options and can be booked as a trio, 5 piece or 6 piece band. Guide price is for the trio. The London Oompah band perform a charming mix of traditional Bavarian music alongside quirky English pop songs reworked into an oompah style performance. Polkas, waltzs, Beyoncé and Barbie girl are all included by this experienced London oompah band using their unique and fun style! They will get your guests involved with games and songs and will provide the type of quality entertainment you would expect to see at any Oktoberfest event or venue. The 3 piece band is best suited to providing background music at the event so perfect for creating the Oktoberfest atmosphere. The 5 and 6 piece Oompah bands come with lots of crowd participation and games such as a yodelling competition, traditional Munich dance done at the tables and drinking games if required. The 6 piece band is the only option that includes a vocalist.